Raised in a musical family, Eric began picking up the guitar at the tender age of eleven. 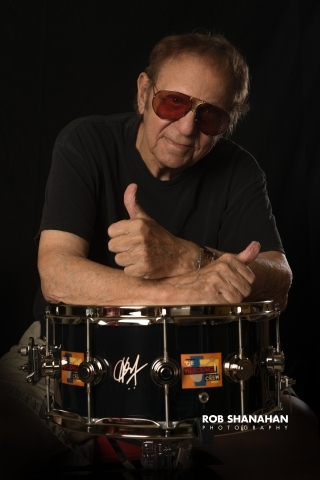 By the time he turned fifteen, he was playing professionally in a psychedelic rock band called “Mariani”. 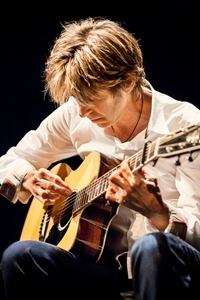 In the following years, Johnson made a name for himself as a solo artist as well as an in-demand session guitarist for such huge names as Carole King, Cat Stevens and Christopher Cross. Aspiring guitarists would kill to just be able to play his mistakes. Others will wind up selling their gear and buy his records. 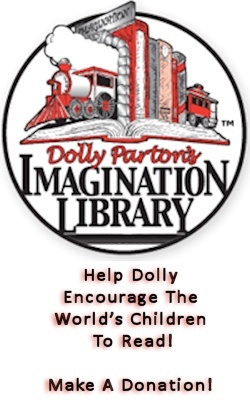 The Texas and current Austin-area native and current resident is probably best known for his songs “Cliffs of Dover,” “Manhattan,” and “Trademark”. 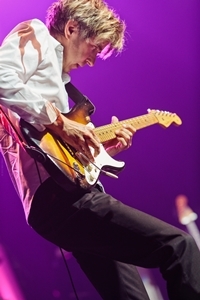 A musician’s musician, Eric has commanded the respect of fellow guitar masters from Johnny Winter to Steve Vai. 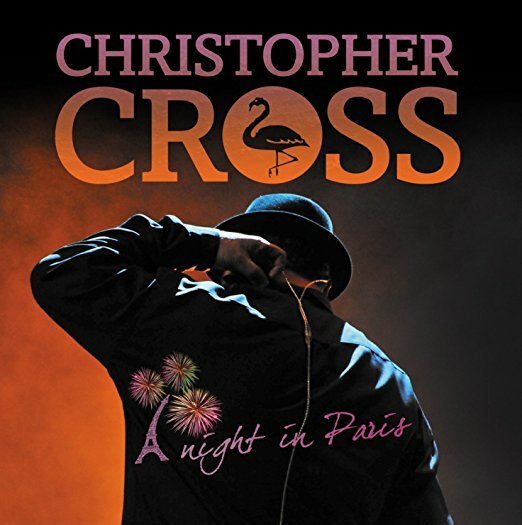 He has just released his eleventh solo album – a live disc (his third) entitled, “Europe Live” – arguably his best yet. I was recently given the golden opportunity to chat with Eric. When the guitar phenom called me, he was in the middle of ordering a drink from a local smoothie joint near his home. Warm, friendly, and engaging, I knew that I was in for a great chat with this guitar great. I focused my first questions to Eric around, “Europe Live,” asking him why he chose Europe to record live this time. When I asked Johnson how the European crowds compare to fans in other parts of the world, his answer was enthusiastic. 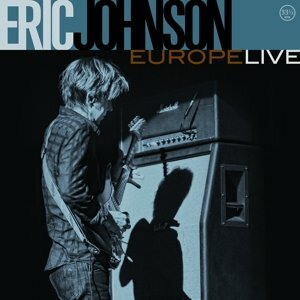 “Europe Live” spans Eric Johnson’s entire career as an artist. Of the fourteen songs on this album, only four have been on the other two live albums. I asked him what drove the set list and what does he hope fans will derive from this album as compared to the other two live albums. A seasoned artist like Johnson have a deep and rich catalog of music to draw from, with fans often demanding that certain songs to be performed each and every time. It’s often a challenge for artists to keep their earlier work fresh while repeatedly performing them. I asked Eric if the early songs have a different feel and meaning for him now as he performs them today than they did in the beginning. I asked Johnson to pick a “calling card” song that he feels would be the best “advertisement” for the album. I complimented Johnson on how he fuses jazz with rock. He laughed and said, “Yeah, it’s my identity crisis!" 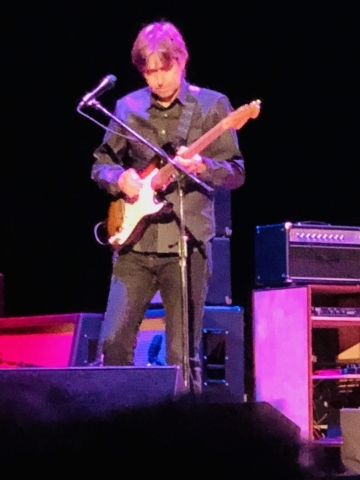 With so many years of touring under his belt, I wondered how has touring changed for the guitarist these days as compared to the beginning of his career? As I mentioned at the beginning of this piece, Eric Johnson has worked for or with a wide range of top talent. I asked if there was anyone he hasn’t worked with that he would like to. To the question as to how many guitars he owns and what he considers to be the “holy grail” of guitars, Johnson responded, “You know, I own about half as many as I used to. I used to have a bunch of guitars. I only have about seventeen or eighteen now. I’ve kind of thinned it all out and just kept the ones that I enjoy playing. I don’t really collect stuff that I don’t play anymore so I’ve kinda gotten rid of those. I just like the old Strats and the old Gibsons and the old Martins – just like any other person on the planet – the good stuff! Ha! Ha! When he mentioned that Strat, I mentioned that James Burton told me when I interviewed him that he still had the first Fender he ever owned that his mom had bought for him. Dropping that name got us off on a little lovefest about Burton with me concluding that I would love to see Burton and Johnson play together. 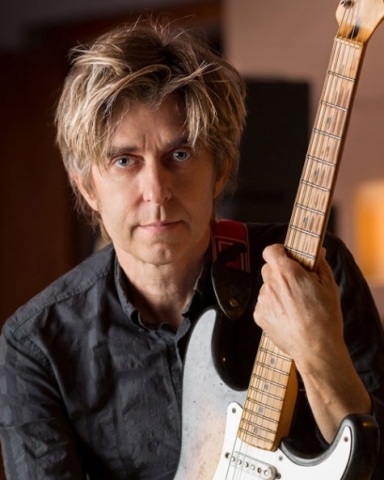 What does the next year and five years look like for Eric Johnson? My final question to this guitar great was: After you’ve played your last gig and gone on to the great gig in the sky, what do you hope your legacy is and how do you want to be remembered?